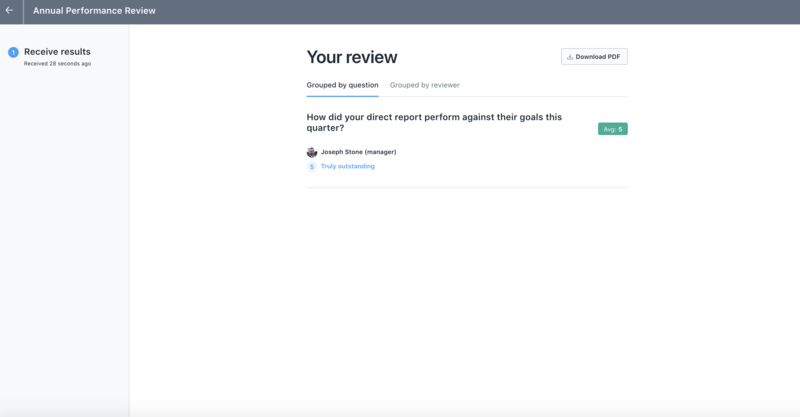 You can set a question to private when creating the question in a review template. 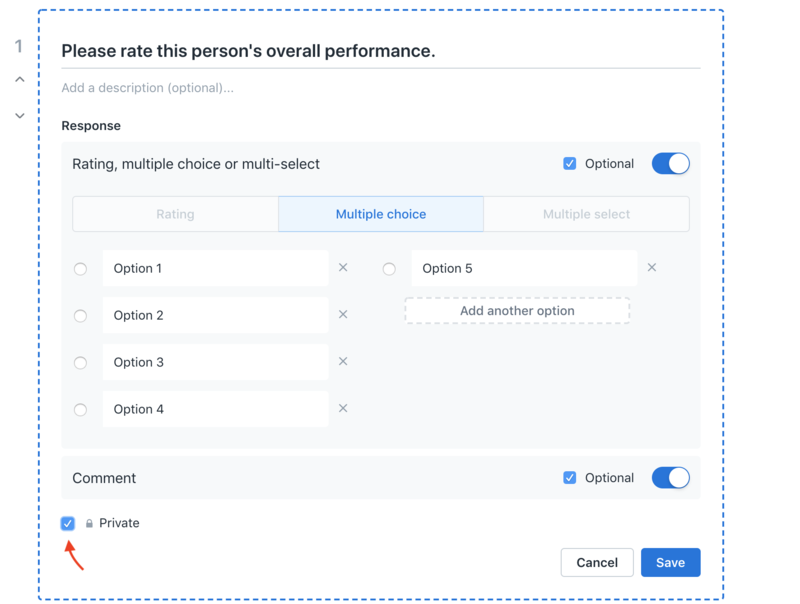 When you are creating the template, you will see the option to mark a question as "Private." 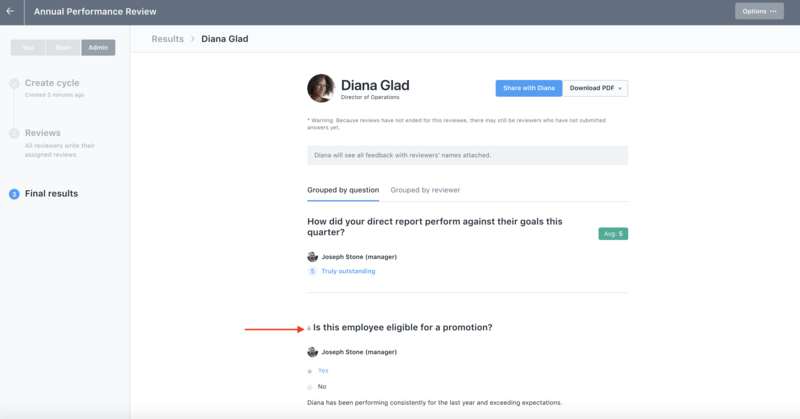 This means that only the manager and the admin will see the response to the question regardless of the review's deliverable visibility settings. 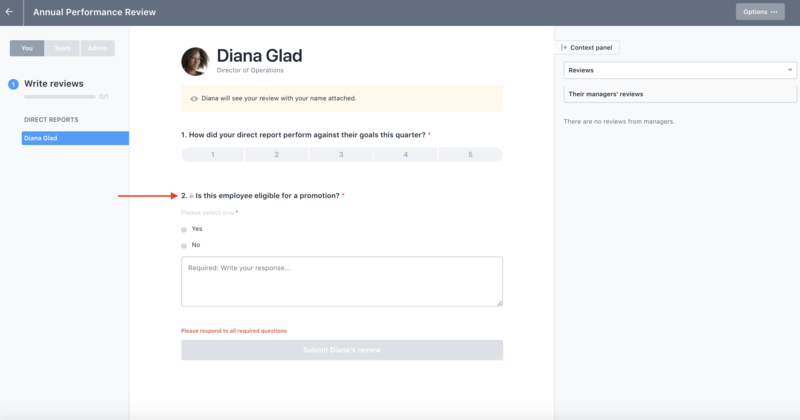 This gives you the option to set up a review cycle so that a reviewer's feedback is mostly shared with the employee, but still have one or two questions where the responses are only shared with the employee's manager and the admin. However, the employee will not see the question or the response when viewing their review packet. They will only see the manager's responses to the non-private questions that the manager responded to.